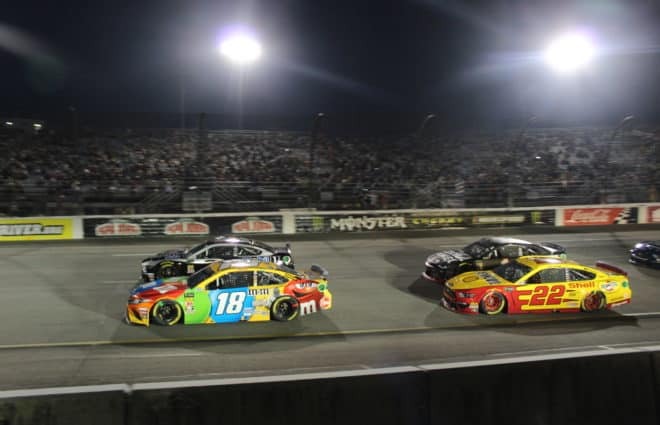 Just one day after finishing runner-up to Joey Logano at Martinsville Speedway last Saturday, Matt Crafton began the latest month-long hiatus for the Camping World Truck Series by attending the NHRA 4-Wides at zMAX Dragway in Charlotte, NC. 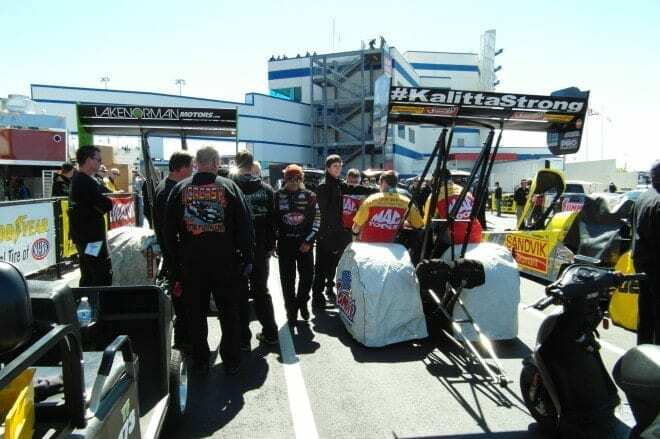 As a guest of Kalitta Motorsports and shared sponsor SealMaster, Crafton took a few minutes to sit down with Frontstretch’s Mike Mehedin to chat a little about his race the day before and the appeal of NHRA racing four lanes wide. 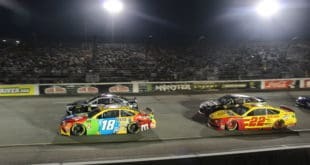 Mike Mehedin, Frontstretch.com: First, congrats on a great finish yesterday at Martinsville. Recap your day. Matt Crafton: We had a very good day. We had a very unbelievably dominant truck on a long run. It wouldn’t fire off and run as fast as we wanted to for four laps but after that it was lights out. We would take off and run crazy fast. Just got beat on a late restart; plain and simple. When you’re the leader on late restarts you’re a sitting duck. 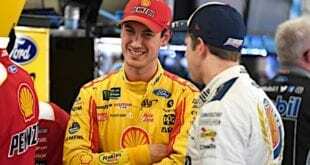 Logano timed it perfect. He got that huge run where he could pull out and timed it perfect and beat us. But it was an eventful day. It was Martinsville, without a doubt. The gloves came off at the end without a doubt. Me and Joey had a lot of fun. We talked after the race and joked. I ran him back down with 15-20 to go and he knew I was faster than him and he parked it on the bottom. I beat his rear bumper off of him but I wasn’t going to move him. Finally I got underneath him enough and then I had to move him off the bottom at that point once I got underneath him. I was driving by him and the kid in the 00 thought he was going to drive through both of us. I caught some flack over it but I love it. It’s part of it. 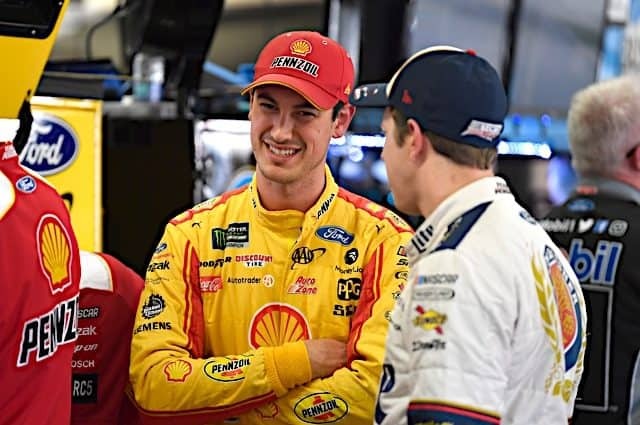 I said it in the rookie meeting, and Cole was actually in the rookie meeting, I said “…it’s easy to run in the back of somebody here at Martinsville, but if you do run in the back of somebody you better have somewhere to go hide because then they can’t get back to you.” I wasn’t going to wreck him. He wrecked me. I guess he did a call-in last night on XM and he said he made a mistake. Once I moved him up off the bottom I was driving by him and he didn’t spin until he got behind me. He had the wheels cranked left in my door when I was going by and he never got the wheel straight and spun himself out. He took the blame on that one. But, like I said, it was Martinsville. I’m not just going to wreck somebody but if you’re going to move him a little bit you’re going to rough him up. That’s what it’s all about in Martinsville. 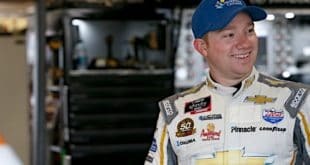 Mehedin: You mentioned in your post-race interview that you could have blocked Logano but that it wouldn’t have turned out well for anybody. Crafton: Absolutely. I remember Clint Bowyer did one of those a few years back. He launched in there, slammed into everybody and then they all started wrecking. It was one of those deals I knew if I just drove down there and stayed side-by-side with him and maybe get behind him coming off two and then race him to the green-white-checkered, like we did. He got out a couple of truck lengths on me and my truck wasn’t great for those couple laps. I truly believe if I had another lap I could have got back to him and maybe passed him. I wasn’t going to just wreck him. That’s not my style. I said I was going to definitely put a little bit of bumper to him and play that way but I had a blast yesterday. From everybody I talked to, and what I read, they loved the truck race. It was one of the best races they’ve seen. Mehedin: What are your impressions of the 4-Wide? Crafton: The 4-Wide is crazy. It’s a little bit harder to follow when you get all four of them out there. They go by so fast and you try to pay attention to all four of them. You pretty much can’t. You have to focus on one or two. It’s crazy. It’s so intense. These guys are very brave. We’ll just say that. I’ve stood at the finish line and watched these guys go by and when they go by at 300+ mph they’ve got it going on. Mehedin: Have you been in the pits at all? Crafton: Yea. I went to the Kalitta’s and JR Todd and them they showed me around and did the track walk this morning. Asked a lot of questions. Sat in JR’s car. It’s really tight space for sure. 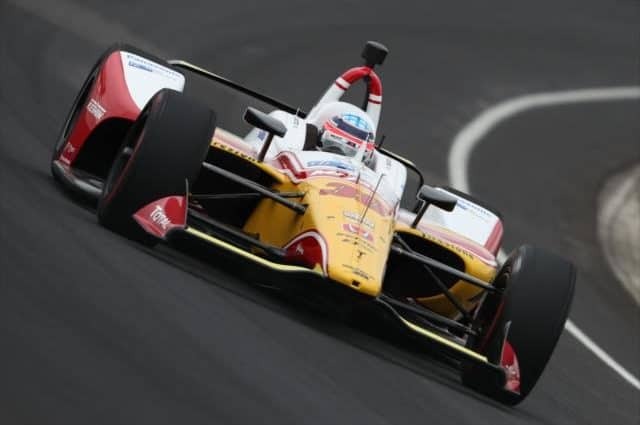 Mehedin: What’s the fan interaction like in the pit area versus NASCAR? Crafton: It’s crazy. Just how fans can walk up to your pits. We have some fans that get hot passes but pretty much everybody can go back there and stand in the pits and stand right there. Their interaction is very, very good with how the fans can get right up to the cars while they’re working on them. Mehedin: Any chance of getting behind the wheel? 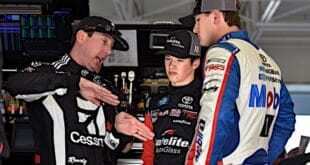 Crafton: I sure the hell wouldn’t get behind the wheel right now. I did one of the drag race schools here and ran a high 9. I’d like to take some more classes and learn a little bit more and then maybe drive something a little bit faster but I’m far from that right now. Mike starts his second year with the Frontstretch in 2014 working on a combination of promotional and marketing assignments. 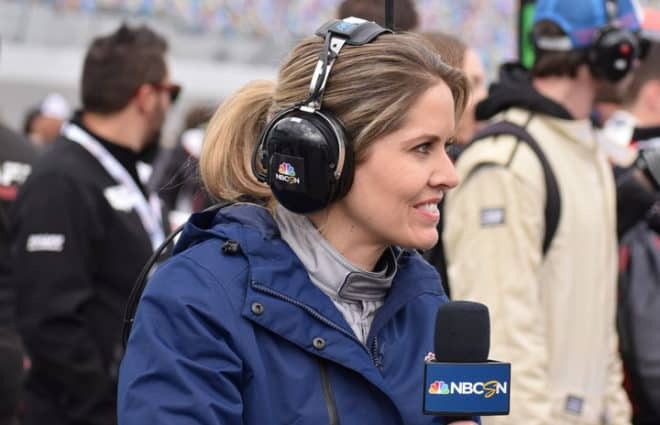 Managing the NASCAR Power Rankings (Wednesdays), he works with broadcast and writing experts from throughout the world of racing to produce the biggest national weekly poll on Sprint Cup competition. Also our resident Marketing Assistant, Mike handles day-to-day client responsibilities while settling into his new digs outside of Charlotte.